A beautiful, unique patio area that is also a functional extension of your home can turn a typical gathering into an unforgettable afternoon or evening. 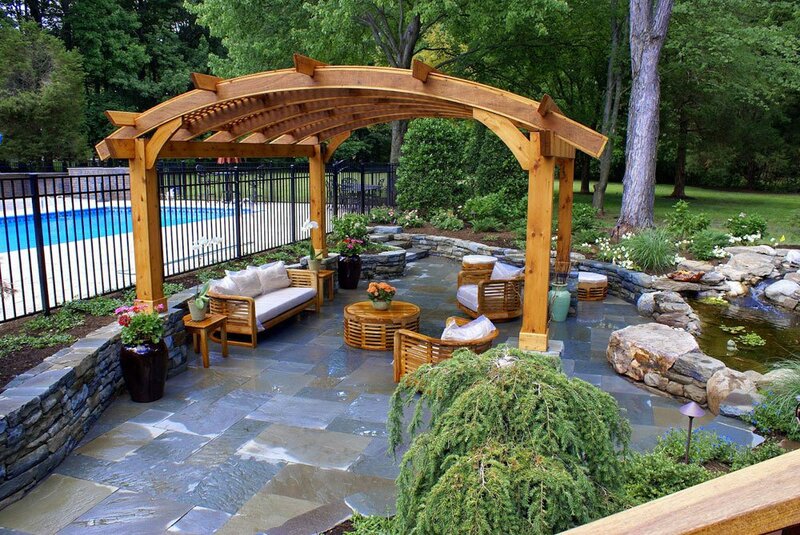 Patios can provide a place for you and your family to relax and enjoy your backyard. Patios can enhance your outdoor living experience and add to the beauty of your backyard with intricate stonework, dazzling colors, intriguing patterns. Home Living Outdoors can expertly design and build a variety of patio and hardscape projects, keeping in mind the enhancement of both your home’s appearance and the enjoyment of your property. Pavers have many advantages over the ordinary poured concrete patio. The value of pavers alone is enough to choose them over concrete. Initially pavers may have a slightly higher upfront cost but over the years that cost will be paid back substantially. Pavers require very little to no maintenance saving you money on staining, sealing and repairs. Pavers are more durable than poured concrete and can easily handle the extreme temperatures without the risk of cracks. If you do need to repair a paver, there will be no unsightly scar left behind. Simply have the paver removed and repaired or replaced completely. The fact that pavers are so versatile is one reason why they have become so popular in recent years. With pavers, the design choices are endless. There are so many colors, shapes, sizes and patterns to choose from that nearly everyone can find something to fit their personal style. 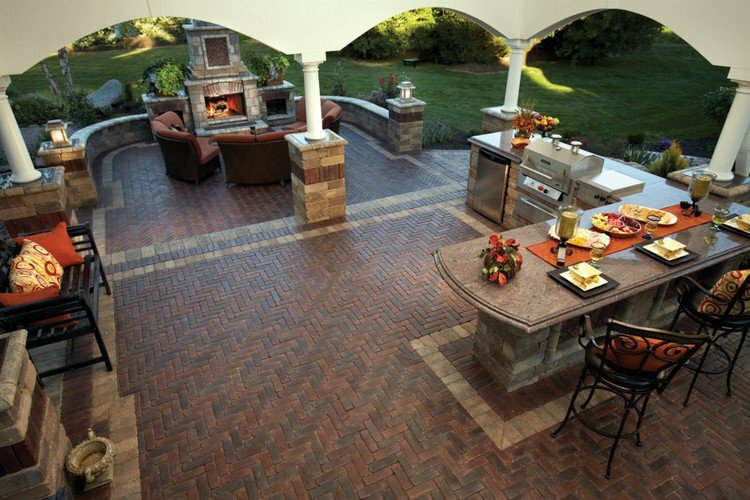 Your new paver patio will have character and feel like an extension of your indoor living space. You can design it to complement your existing landscaping or take the opportunity to spruce up the area with new landscaping. 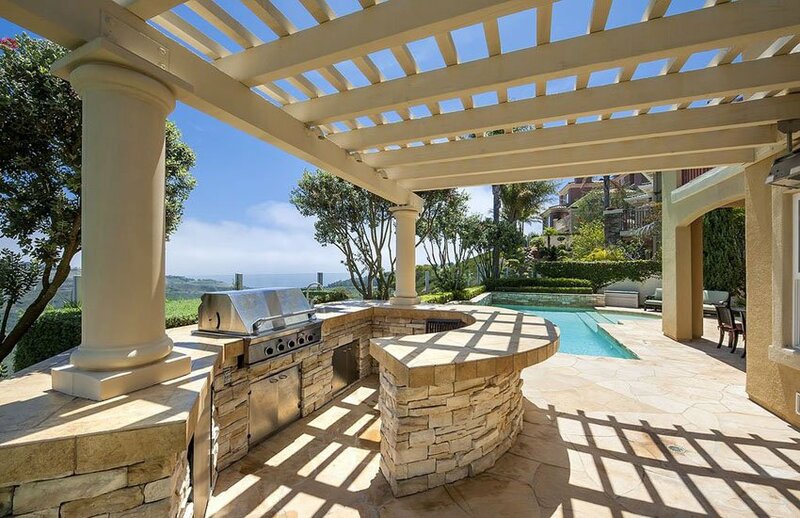 Added features and structures such as pergolas, fireplaces, fire pits and outdoor kitchens really bring your outdoor space to life.